The beloved '90s cartoon "Reboot" is getting a reboot. B.C. animation studio Rainmaker Entertainment announced this week that it has renamed its TV division Mainframe Entertainment and launched development of a sequel to the first-ever fully computer-animated series. You heard that right. Bob, Dot, Enzo, Frisket and Megabyte are coming back. The announcement coincided with the 20th anniversary of the show's debut in -- this is going to make you feel really old -- 1994. The original incarnation of Mainframe Entertainment, which Rainmaker acquired in 2006, was also responsible for the popular "Transformers" spinoff "Beast Wars" (BRING THAT BACK TOO). 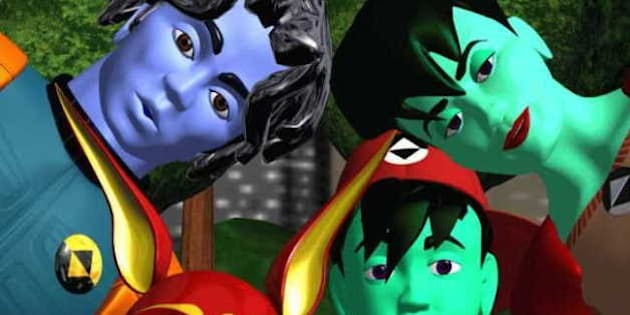 Geeks were quick to rejoice at the news that Reboot is returning after a more than 10-year absence from the airwaves. This article has the house in a small uproar. http://t.co/yX56dCQho0 NEW REBOOT SERIES!!! But while the show is in development, it has yet to be picked up by any networks. YTV, we're looking directly at you now. Fans have been disappointed before. Rainmaker announced in 2008 that it was at work on a "Reboot" film trilogy. The company even released a teaser trailer. But five years later, we're still waiting. Rainmaker has been busy though. It released its first feature film, "Escape From Planet Earth," earlier this year and is in production on a movie based on the video game Ratchet and Clank. So while the show's future remains uncertain, we'll still be doing this for the rest of the day.